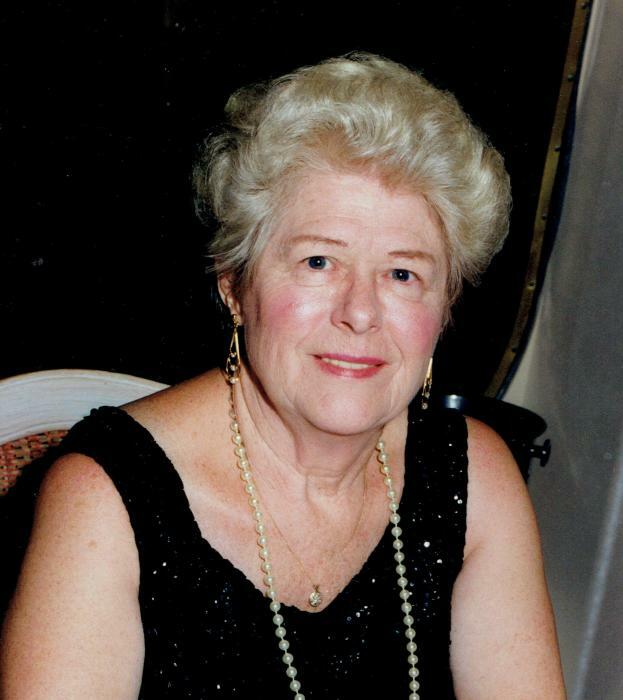 Obituary for Greta Diane (Guest) O'Leary | Edwards Memorial Funeral Home, Inc.
Mrs. Greta D. (Guest) O’Leary, 90, of Milford MA, died Sunday (April 8, 2018) at Genesis-Milford Center surrounded by her loving family after a period of declining health. She was the wife of the late James O’Leary and the former wife of the late Alfred A. Carrachino. Greta was born in Stafford, England the daughter of the late John S. and the late Anna (Farmer) Guest. She attended public schools in England, graduating from high school. Greta came to the United States as a war bride at the age of nineteen. She was first employed as a hat maker. Later in life she was employed as a real estate sales agent working at Sprague Realty located in Millis MA. While residing in Florida, she had been employed as a care giver. She had resided in Florida for about 23 years, returning to Milford in 1989. Greta had been a member of the Leisure Hour Club while residing in Milford and also a member of the Marina Bay Club in Ft. Lauderdale FL. She also had a great love of pets and was an avid supporter of the MSPCA. Greta is survived by her 2 sons: Anthony Paul Carrachino and his wife Valerie of Franklin MA and Stephen J. Carrachino of Milford MA; her daughter: Lynda Diana, wife of David Paddock of Milford MA; 2 granddaughters: Christie A. Julian of Milford MA and Elisa A. Carrachino of Ft. Myers FL; 1 brother: John Guest of England; several nieces & nephews. Greta was the mother-in-law of the late Regina Carrachino, who died in 2015. In accordance with her wishes cremation will take place. Private committal services will be held at the convenience of the family. There are no visiting hours. Funeral arrangements are under the direction of the Edwards Memorial Funeral Home, 44 Congress Street, Milford MA. Memorial donations may be made to MSPCA.